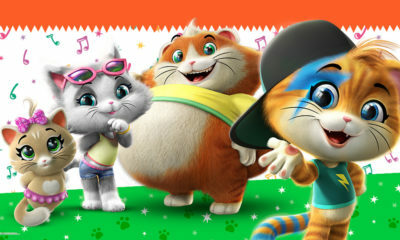 Ahoy, mousey mateys! 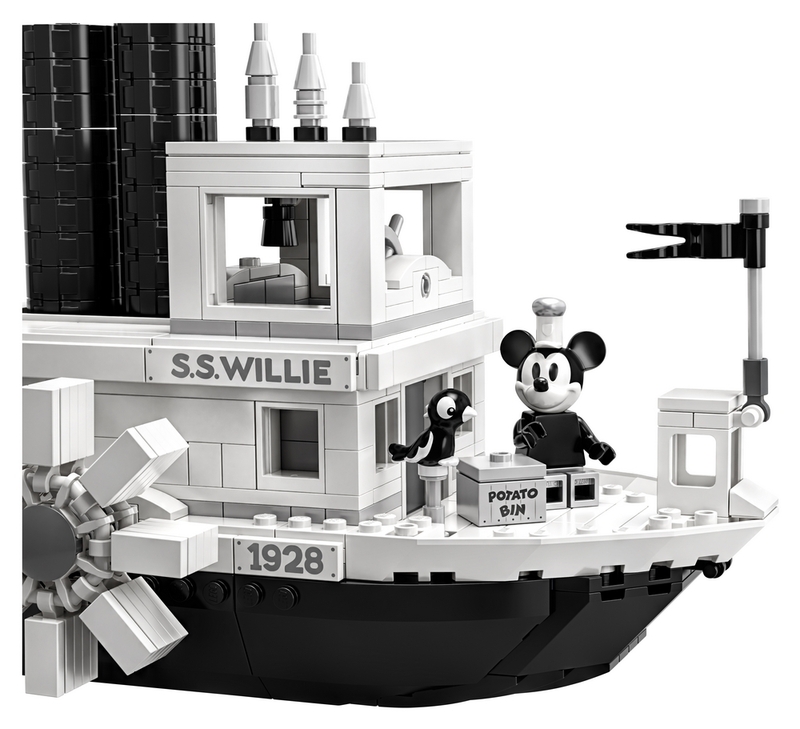 A new wonderfully retro buildable set is pulling into port just in time for the 90th anniversary of Walt Disney’s most iconic character with the LEGO Ideas 21317 Steamboat Willie set, named for the 1928 black-and-with short cartoon debut of Mickey Mouse. 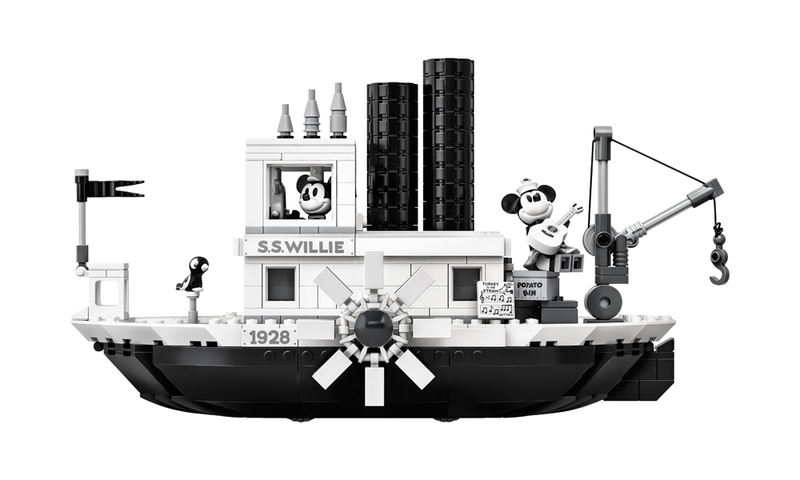 The LEGO brick version of the S.S. Willie features steam pipes that move up and down and paddle wheels that rotate when the boat is pushed along. The boat’s bridge has room for a minifigure and play-inspiring nautical details such as the ship’s wheel, life buoy and buildable bell. 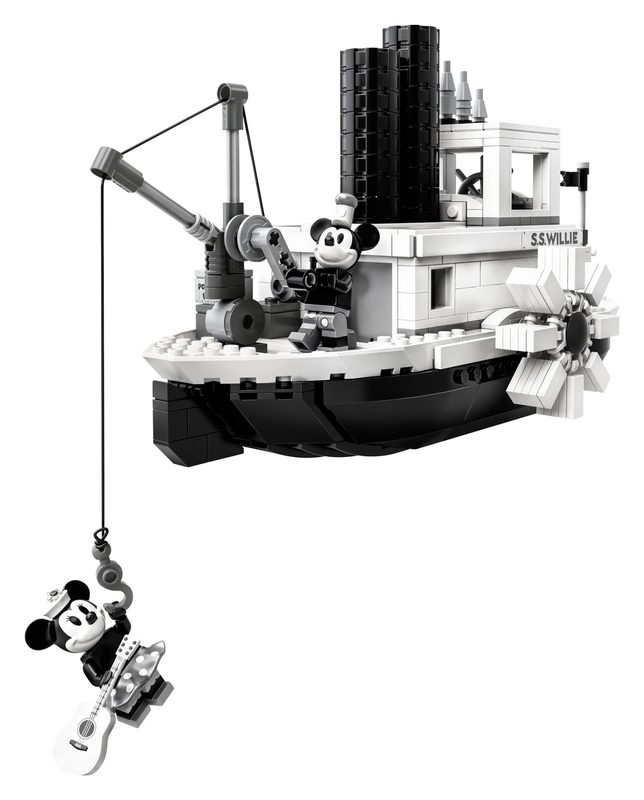 On deck there is a working crane to lift the “potato bin” cargo aboard and this unique toy building set (available April 1) comes with brand new Mickey Mouse and Minnie Mouse minifigures, each with special silver-colored decoration, plus a parrot figure. 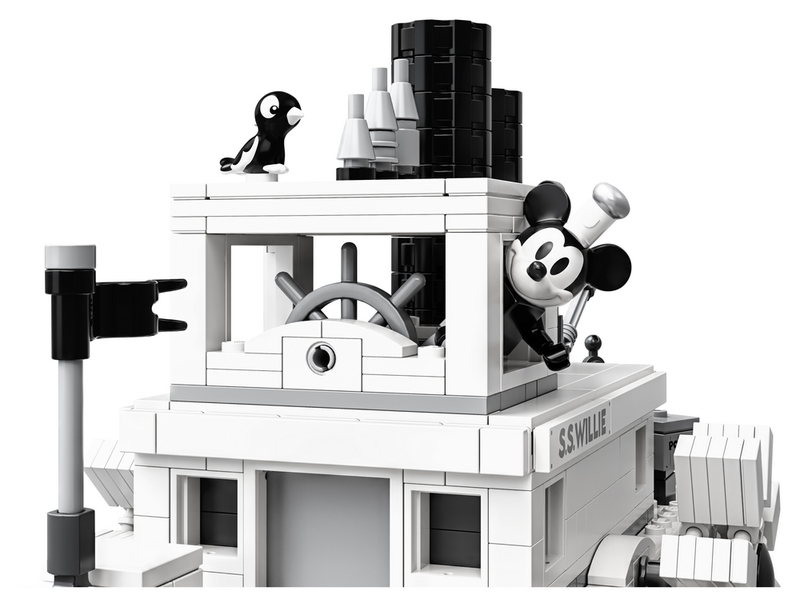 Build and display this collectible LEGO set or recreate your favorite scenes from the classic Disney Mickey Mouse cartoon, Steamboat Willie. 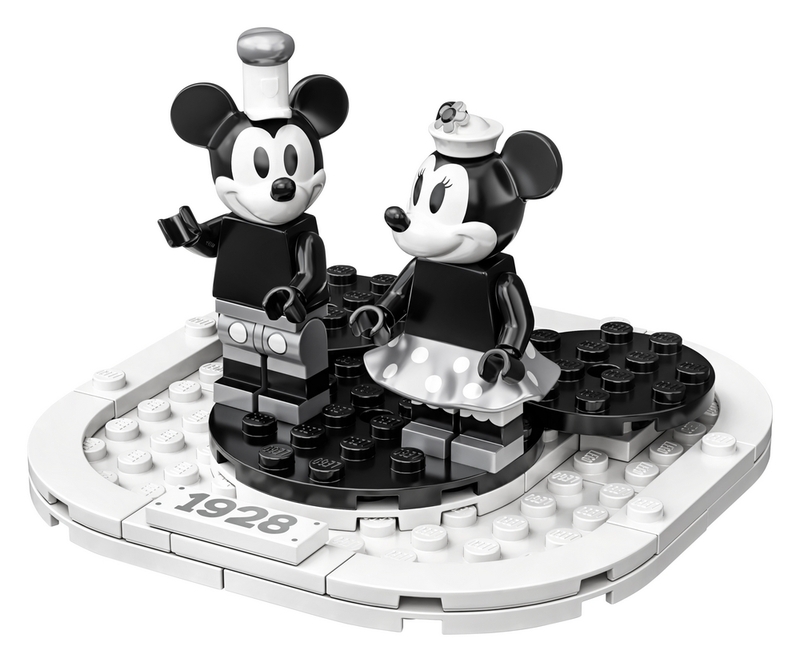 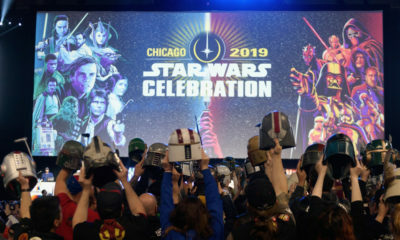 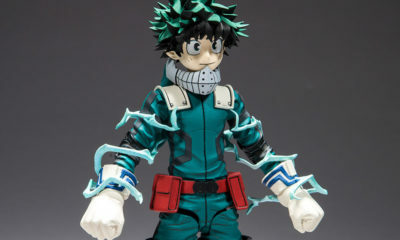 Includes two new-for-April-2019 minifigures: Mickey Mouse and Minnie Mouse, each with silver-colored decoration, plus Mickey Mouse’s parrot figure. 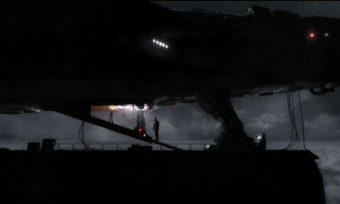 The two steam pipes move up and down and the two paddle wheels rotate when the boat is pushed along. 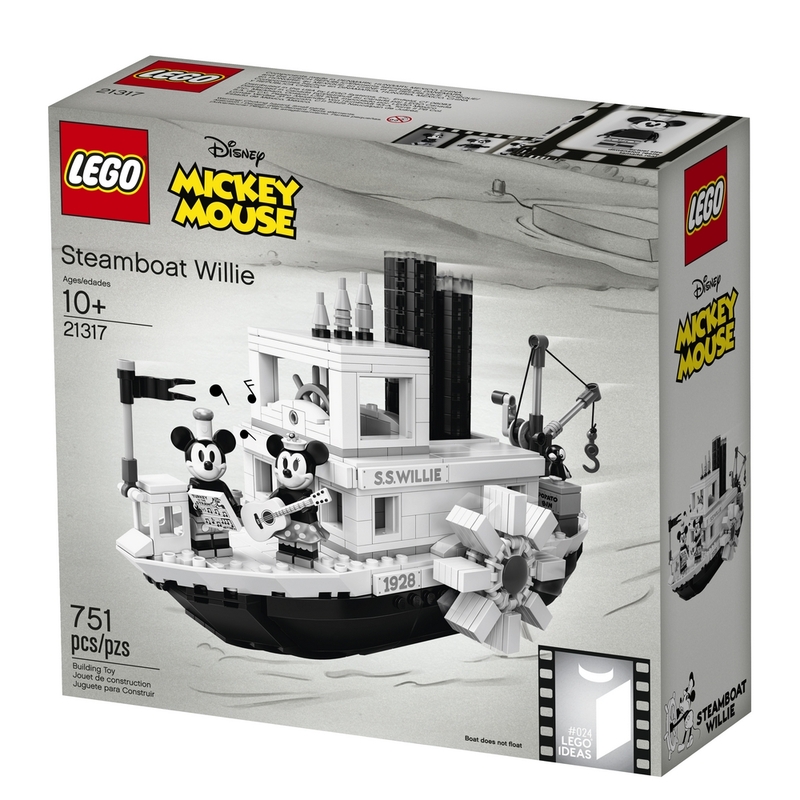 This LEGO Ideas creative toy building set comes with a booklet with building instructions, fun facts about the historic 1928 animated Disney short film Steamboat Willie, and information about this awesome retro set’s fan creator and LEGO designers. 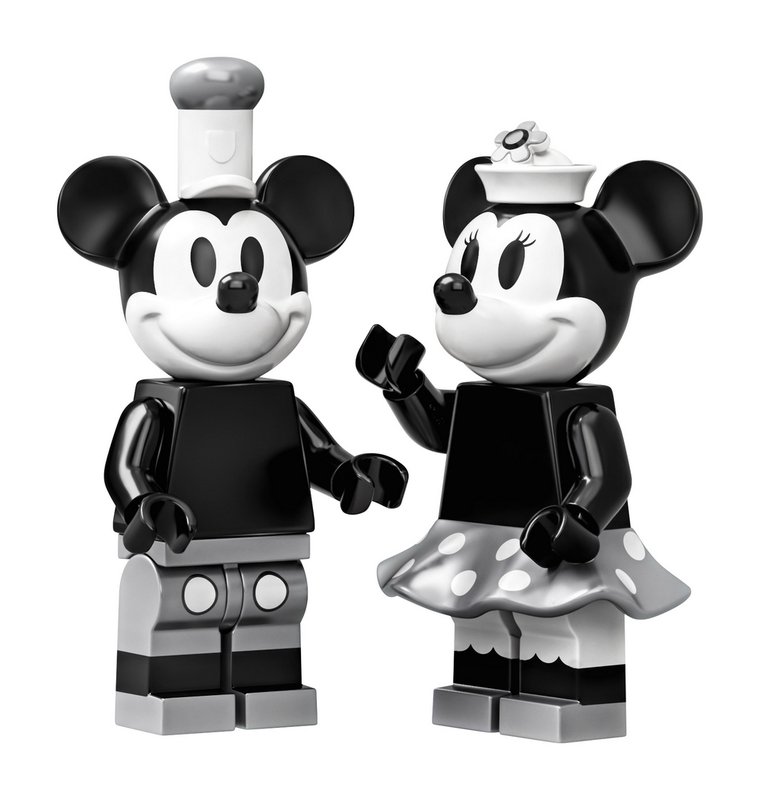 Steamboat Willie toy boat measures over 5″ (15cm) high, 10″ (26cm) long and 5″ (14cm) wide. 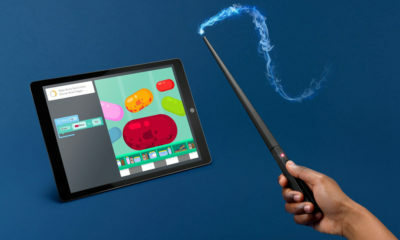 Hop aboard at shop.lego.com on Monday, April 1; also available in LEGO stores or by phone.